Aloha, I’m Brett and thank you for viewing my site! 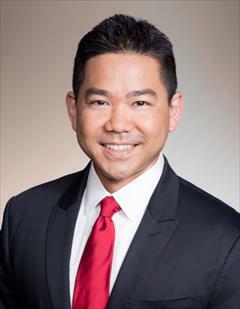 I am a full-time REALTOR® dedicated to providing top quality service in buying/selling real estate on Oahu. My goal is to provide you with the best information available, advise you through all phases of the home buying and/or selling process, and fight on your behalf. With my background as Manager at Ernst & Young (EY), I have a very different approach to real estate, which sets me apart in the industry. At EY, I was only successful based on my ability to deliver the highest quality service and developing long-lasting relationships based on trust and commitment. I appreciate the chance to work with you to develop a similar relationship. To demonstrate my service level, I have been awarded the Honolulu Magazine 2015 and 2016 Best in Real Estate, which is based on personal recommendations for customer service and satisfaction from real clients and their peers. Further, I am the Winner of the 2014 Aloha ‘Āina REALTOR® Awards Program. For this award, judges reviewed and evaluated more than 1,100 client nominations in order to select the winners. These winners are REALTORS® who have gone above and beyond in service to their clients and who maintain the highest ethical standards. I understand that real estate is one of the largest financial decisions for a family and I am committed to providing the highest level of customer service. Please feel free to contact me at 808-753-3923 to begin this exciting process!